[Updated May 4, 2012] The launch date for the next pair of In-Orbit Validation (IOV) Galileo satellites will be September 28. Meanwhile, the European Space Agency (ESA) announced today (May 4) that the first full operational capability (FOC) Galileo satellite has now been assembled at OHB System AG in Bremen, Germany, and will be made ready for testing. 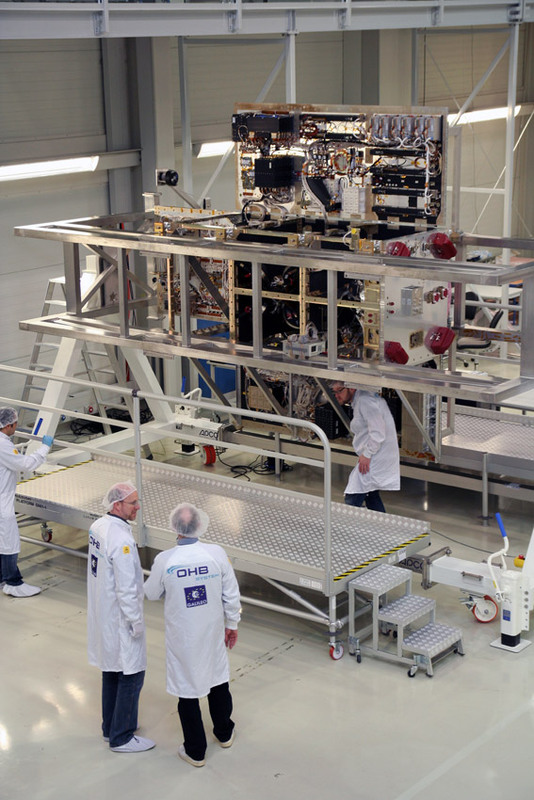 This is the first of 22 FOC satellites to be built and is scheduled to be ready for delivery to ESA by the end of this year. 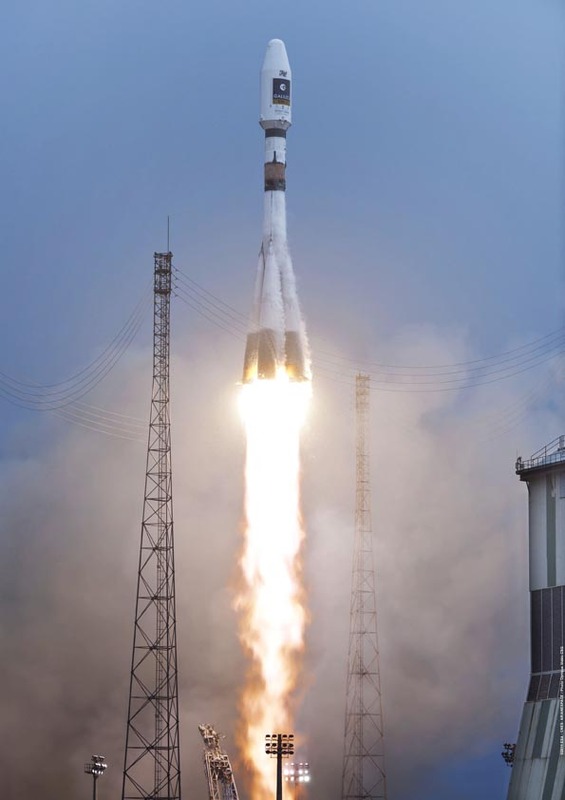 The two IOV space vehicles (SVs) will launch together on a Soyuz rocket from Europe’s spaceport in Kourou, French Guiana, joining the two European GNSS satellites already in orbit. "Galileo continues to deliver, is on track and within the agreed budget," told the Galileo industry representatives attending the Brussels event. "I call upon European companies and, in particular, on the many small and medium size enterprises to get down to business, to innovate, and be ready with their products when we deliver Galileo in 2014. European industry should be ready to seize a vast market which is there for the taking. This is what we urgently need in the current economic climate". The new launch will take place within a year of the flight of the first two Galileo IOV satellites, which reached orbit on October 21, 2011. 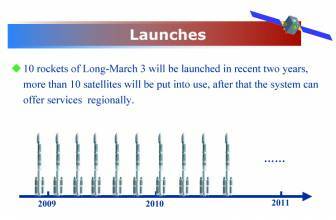 The four IOV satellites are in almost all respects the same as the 14 FOC satellites being built by OHB System. “We are very proud to have reached this important milestone after only 27 months from the programme’s start in January 2010,” OHB’s CEO Marco Fuchs, said of the FOC SV1 assembly. 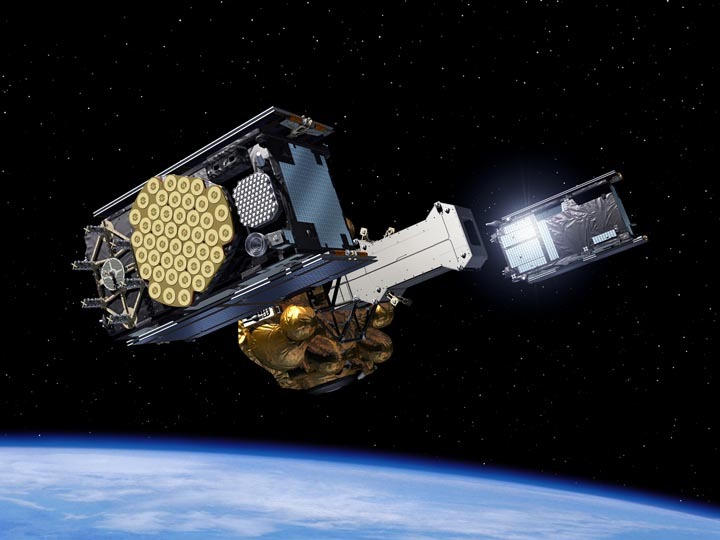 “We are looking forward to finalizing the test program and then to transfer the satellite to the environmental test campaign.” First launch of Galileo FOC spacecraft from Kourou, French Guiana, is currently expected to take place in the second quarter of 2013. The current IOV phase consists of the deployment tests and the operation of four satellites and their related ground infrastructure. Under an agreement with the European Union, ESA acts as the technical lead for Europe’s GNSS program and is responsible for acquiring satellites for the program. 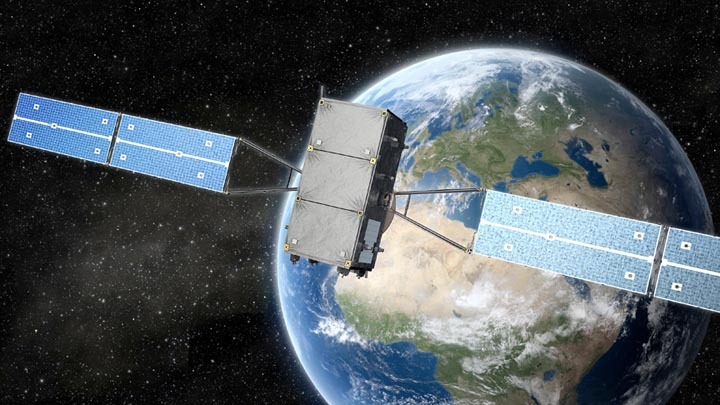 As prime contractor for the FOC satellites, OHB is responsible for developing the satellite platform and integrating the satellite with its payload — the part of the satellite that provides Galileo’s precision positioning measurements and services to users worldwide. The SV1 payload was developed at Surrey Satellite Technology Ltd in Guildford, UK (also is providing assistance to OHB with final satellite assembly). SSTL delivered its first completed payload to OHB in April, and both companies have set up series production facilities to prepare the remaining satellites.